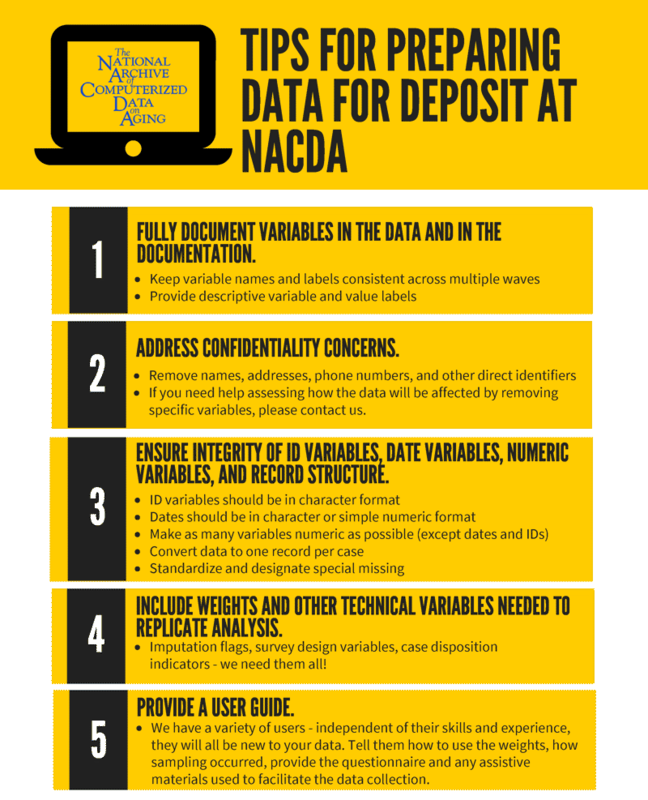 NACDA welcomes and encourages deposits of digital data. Deposits are made using a secure form to describe the data collection and upload content. Users must have or create a MyData, Facebook, or Google account to sign in to the deposit form. For a discussion of best practice in preparing data for sharing, please refer to ICPSR's Guide to Social Science Data Preparation and Archiving. 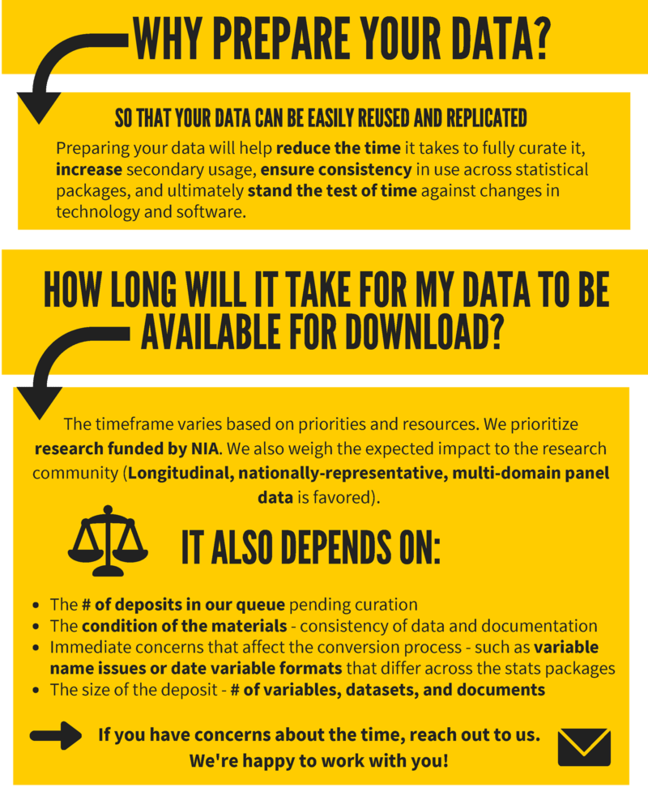 Are you planning your research project, but not sure about how you plan to archive your data afterwards? Check out our Guidelines for Effective Data Management Plans. NACDA now has two options for sharing your data! NACDA continues to offer curation services as staff obtain, process, preserve, and disseminate electronic data to researchers for secondary analysis in aging research. If you want your data collection to be curated, your data and materials will be reviewed for technical problems, carefully documented, and made available in a variety of formats (e.g., SAS, SPSS, Stata, R, delimited), please share your data with NACDA.